Are dark circles making your face look dull and old? You may try to hide them with make-up, but they tend to raise their ugly head when you take off all the layers of foundation at night. If looking in the mirror makes you feel sad, you need to take charge of your appearance and eliminate these for good. A quick, easy and permanent way of getting rid of the dark circles is to opt for our affordable and instant cosmetic injection treatment. This revitalising procedure helps to reduce the variation in skin colour around the eye sockets and bring back the shine in your eyes. Let us discuss the condition and its treatment a little more. Why Do Dark Circles Appear? Usually, dark circles result from lack of sleep, exhaustion, stress, ageing, pollutants or hereditary factors. If they are not treated on time, they can become more pronounced and affect your self-confidence. 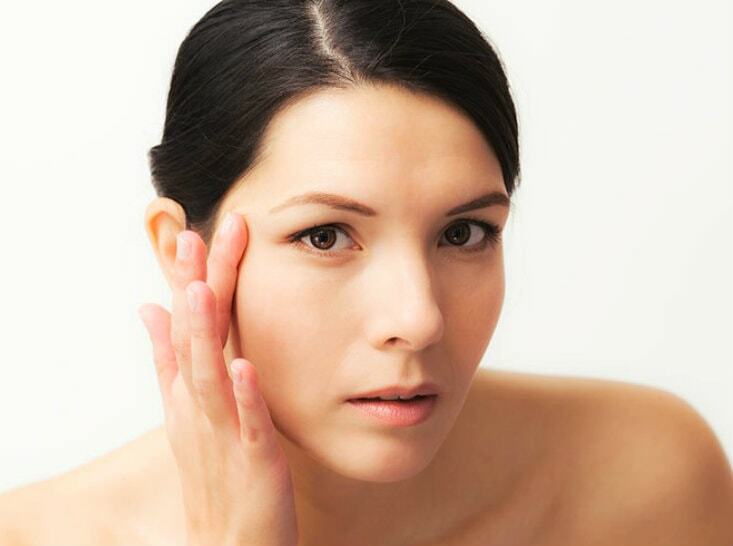 The skin under the eyes is quite sensitive and is the first to get affected by ageing. These dark shadows start appearing at the corner of the eyes first and then spread across to make circles around the eyelids. It has been on the rise and is a common concern among people who visit our skin clinic in Australia. What Do Professionals Have to Say About Dark Circles? Sometimes referred to as ‘tired eyes’, they can affect both men and women and are the most common beauty concern. The changing lifestyle in urban areas has led to the rise of their appearance in people above 30 years of age or even younger. Most of the adult population sleep for five hours or less at night and eats unhealthy food. All these factors add to the development of eye bags. The cause of dark circles according to dermatology is the dilation of veins which makes them appear bigger and darker. A poor diet which lacks nutrition or seasonal allergies can also result in dark circles. Depending on the cause of the condition, our professionals recommend a treatment. The most commonly used procedure is the cosmetic injection which injects a specially formulated gel into the tissues of the dark skin to heal it and renew its elasticity. The gel is injected by a trained healthcare provider or a dermatologist under safe conditions. How Do The Injections Help? The gel is made up of an active ingredient which is a part of the dermal fillers that provide elasticity and firmness to human skin. The gel has the essential nutrients which nourish the under eye skin and make it look younger, fuller and hydrated. In case of under eye bags, the cosmetic injections help in filling up the tear toffs which makes the skin even and covers up the dark circles completely. The dark shadow around the eyes is eliminated and the patient starts looking younger, fresher and healthier almost instantly. How Soon Does It Show Results? The procedure starts showing results immediately as the dermal filler works instantly to rejuvenate the skin. However, the downtime may take up to one week until the swelling and bruising go away. The side effects of this treatment are negligible which may range from slight redness to bruising or puffing that can be easily reduced by using an ice pack after the injection. If you are planning to get the procedure done prior to a big event, then it is recommended that you visit our clinic at least two weeks before the occasion. What Is The Price Of This Treatment? The cost of the injections may vary depending on the amount of dermal filler required. It will be different for people with varying degrees of dark circles or eye bags. It usually starts from $550 for both eyes. You can consult our professionals to know about the details. Nobody wants to roam around with under eye bags or dark circles. You can keep them under check by leading a healthy lifestyle, sleeping for eight hours a day and moisturising the under eye skin thoroughly. If all this doesn’t work, you can visit our skin experts to brighten up your eyes and enjoy a blemish-free appearance.